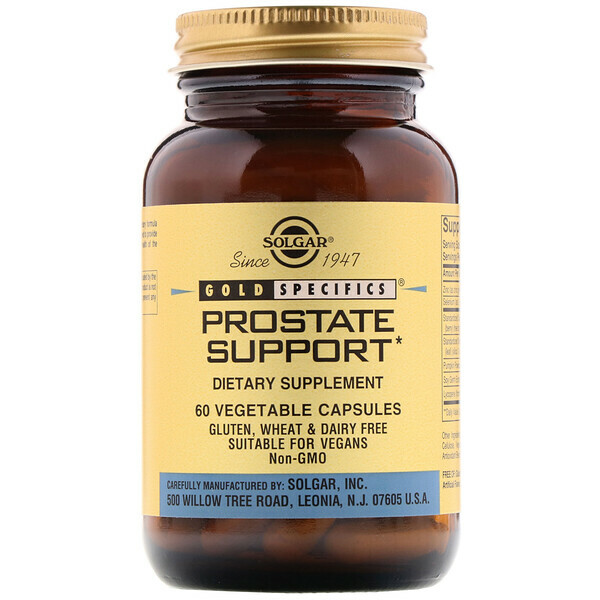 Solgar Prostate Support is a proprietary formula combining nutrients and herbs, designed to provide nutritional support for the overall health of the prostate. As a dietary supplement for men, take two (2) vegetable capsules daily, preferably with a meal or as directed by a healthcare practitioner. 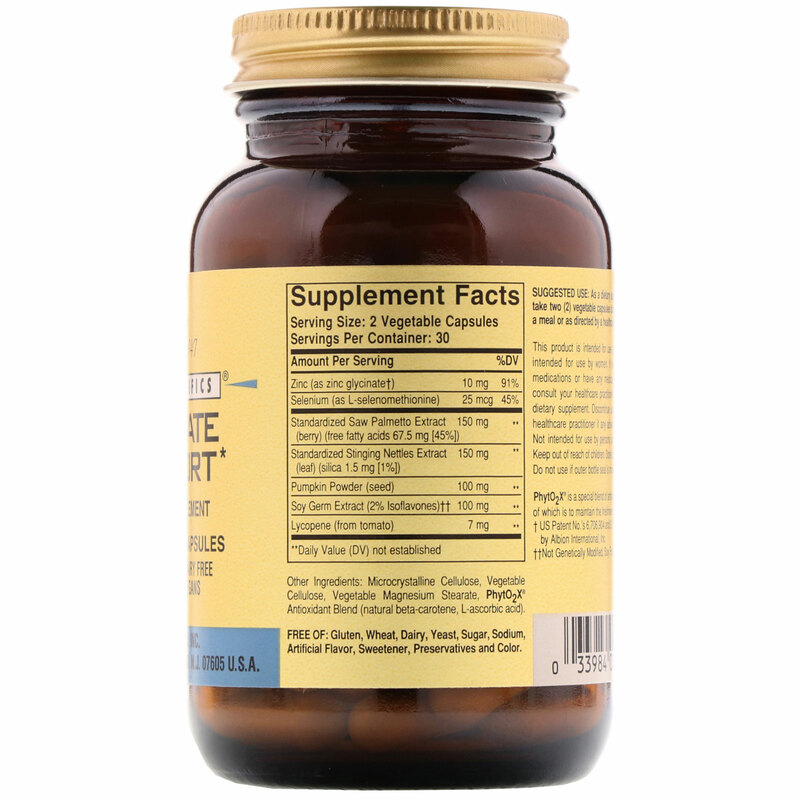 Microcrystalline cellulose, vegetable cellulose, vegetable magnesium stearate, PhytO2X antioxidant blend (natural beta-carotene, L-ascorbic acid). This product is intended for use by men and is not intended for use by women. If you are taking any medications or have any medical condition, please consult your healthcare practitioner before taking any dietary supplement. Discontinue use and consult your healthcare practitioner if any adverse reactions occur. Not intended for use by persons under the age of 18. Keep out of reach of children. Store at room temperature. Do not use if outer bottle seal is missing or damaged. †US Patent No. 's 6,706,905 and 6,716,814 are licensed by Albion International Inc.
††Not Genetically Modified, Soy From Nature.